The provision for veneer cladding has been in the Uniform Building Code (UBC) since the first edition, published in 1927. The concept of masonry veneer is simple, yet the performance of masonry veneer can be marginal if basic, fundamental guidelines are ignored. In this paper, successful attachment methods, as well as attachment methods that are inadequate are presented. 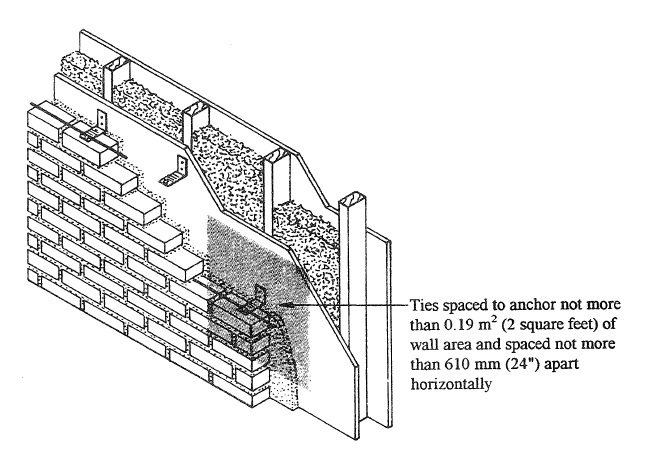 Additionally, methods to prevent water penetration into and through the masonry veneer will be addressed.